Buffett, who is now 82, said at the time that the cancer was "not remotely life-threatening." Billionaire investor Warren Buffett says he has completed treatment for a mild case of prostate cancer, according to a published report. 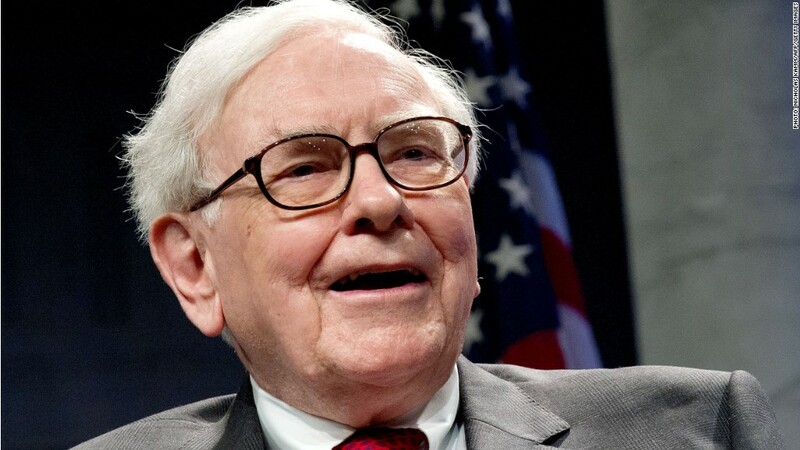 Speaking Friday to executives of newspapers he has recently acquired, Buffett was quoted by The Omaha World-Herald as saying "It's a great day for me. Today I had my 44th and last day of radiation." The World-Herald is owned by Berkshire Hathaway (BRKA), Buffett's investing company. In a letter to shareholders in April, Buffett disclosed that he had Stage 1 prostate cancer. Buffett, who is now 82, said at the time that the cancer was "not remotely life-threatening." Less than a month later, Buffett told shareholders gathered in Omaha, Neb., that the cancer was "a non-event." "Maybe I'll get shot by a jealous husband, but this is a really minor thing," he said about the risk to his life. Buffett, one of the world's richest men as a result of his investing prowess, has yet to publicly reveal a succession plan, though he says he has already informed Berkshire's board about his preferred candidates. Upon his departure, Buffett's job will be divided between a CEO in charge of operations and one or more executives in charge of investments. The World-Herald quoted Buffett as saying he's relieved to be done with the radiation. "I'll be feeling the side effects for a few weeks yet, but I am so glad to say that's over," Buffett said.